South Korean mobile handset giant Samsung Electronics Sunday said it would launch cheaper smartphones in order to cater to the wider consumer segment of the Indian market but would not compromise on the user experience. "Our smartphone prices would continue to come down but the first thing that we look at is consumer experience," Ranjit Yadav, Samsung India, country head (mobile and IT), said at Samsung's forum 2012. However, Yadav denied giving specific details such as price and the time of the launch. 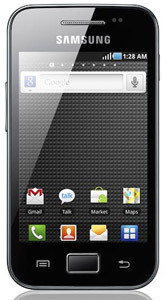 Currently Samsung offers smartphones beginning around Rs.7,000 with the Galaxy Y model. The company has recently been receiving huge competition from Chinese and domestic players, who have launched smartphones for as low as Rs.3,000 which are being widely accepted across the price sensitive Indian market. There has also been a major uptake of mobile applications across the country due to a surge in low-cost smartphones. According to Google, around 40 million Indians access the internet through their mobile phones and there are 30 million application downloads in one week. A combined survey by global market research firm IPSOS and Google found that the 18-29 age group use smartphones the most. Samsung currently has as many as 16 smartphone models and enjoys about 41 percent market share. The firm is planning to capture 60 percent by the end of 2012. According to data collected by IT research firm CyberMedia, smartphone sales in India surged 87 percent at 11.2 million units in 2011 over the previous year. However, speaking on the uptake of tablets in the country so far, Yadav said the response has been below expectation.